How to Run YouTube in the Background On Your Android and iOS Devices. It’s very annoying when you are watching songs and other favourite items on YouTube on your devices and suddenly a message comes and to see the message video app stop working. Today we are here with a solution of your problems. 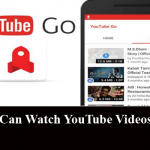 If you are looking for how to run YouTube in the background of your Android and iOS devices you are at a right place. Here is how you can run the video app in the background of your devices to enjoy your favorite items. First of all open www.youtube.com in the Chrome browser in your Android devices. In the menu at the top right, check the “Request desktop site” box. Click on the video you want to play and press play. There may occur a warning saying YouTube wants to send you notifications, allow it. Now you can exit the Chrome app and will be able to restart playback from the notification menu. You just need to install the Dolphin web browser to your iOS device. Now open www.youtube.com in Dolphin. Click on the video you want to listen to and press play. Now exit the Dolphin app and you will restart playback from the iOS Control Center.